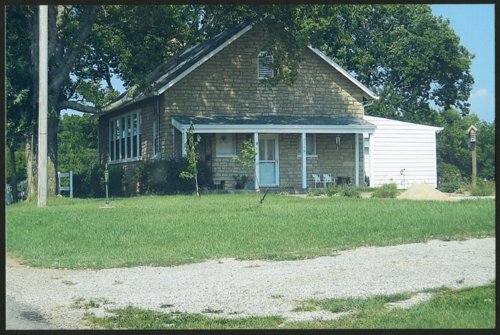 Here are five photographs showing a house located at 4748 S. E. Dupont, Monmouth Township, Tecumseh Township, Shawnee County, Kansas. The house was originally Williams School, District #16. It was built by Jacob Paul French and constructed between 1871-1873. Nathaniel and Susan Cox Williams deeded the land for Williams School on August 5, 1871.